Happy Halloween, FODMAPers! Toni and I have been working behind the scenes at our practice, For a Digestive Peace of Mind, creating some fun Halloween treats suitable for those following the low FODMAP diet. Alway check the nutrition labels: Look for green lighted (ie low FODMAP ingredients) such as corn syrup, dextrose, sucrose, soy lecithin, and confectioner’s glaze. Beware of high FODMAP ingredients such as: lactose, high fructose corn syrup, fructose, sorbitol, apple juice concentrate, and glycerin. 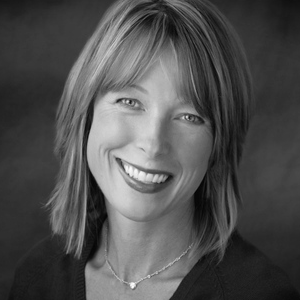 Enjoy low FODMAP treats in moderation! No one feels great after a candy overload… so limit yourself to a few pieces of fun-size candy or treats at a time. If you plan on going to a Halloween party, get creative! Check out our low FODMAP snack suggestions below! Lucky #13… types of candies that should work for you & your sensitive belly. Everyone is different, so enjoy to your personal tolerance. Want to get a little creative? Consider making these spooktacular low FODMAP sugar cookies…check out my post here! 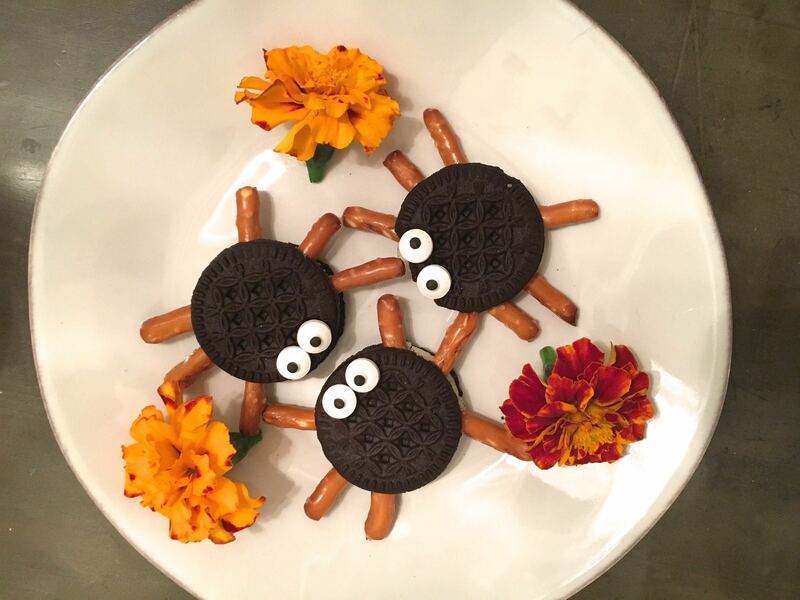 Chocolate filled cookie spiders! 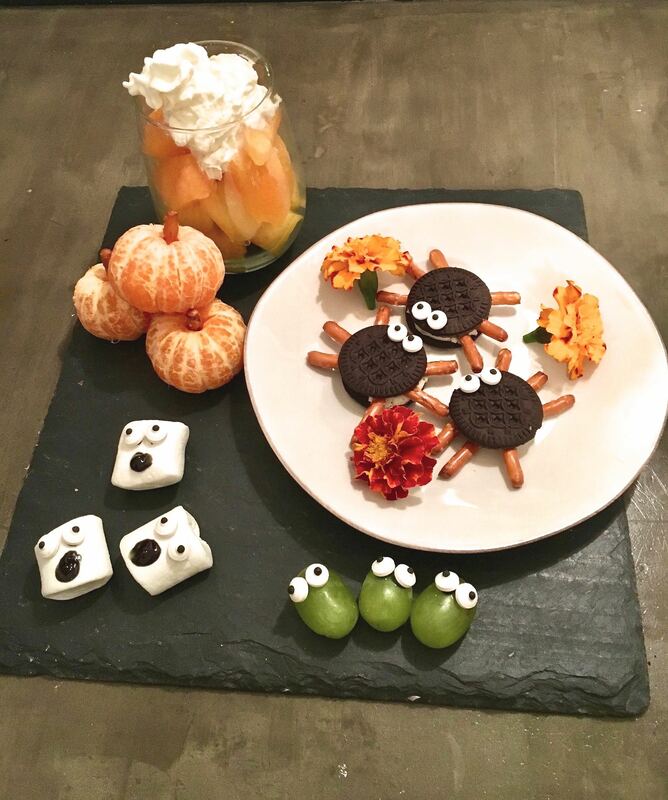 Try a suitable chocolate sandwich cookie, (we like Glutino chocolate vanilla creme cookies) and insert gluten free pretzels (we love Snyder’s gluten free pretzels) into the cookie to make a spooky spider. 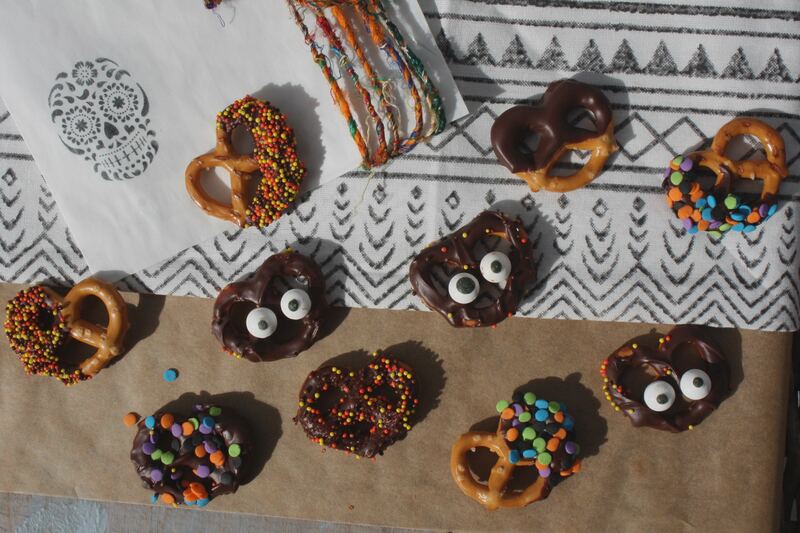 The eyeballs are by Wilton and made primarily of dextrose and cornstarch. They can be purchased at Michaels crafts store and World Market. Fun, right? And if you have very little time on your hands…use a permanent magic marker and make a cheese stick ghost, see here on Pinterest! 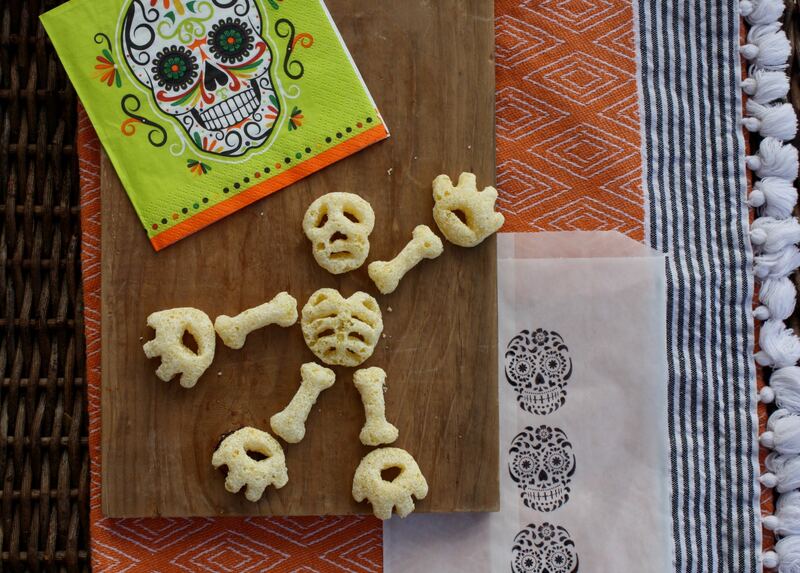 Or simply purchase a bag of white cheddar Cheetos…in skeleton shapes. A fun treat that is not loaded with sugar! Kids love them and they work well for FODMAPers. You might think they would be high in lactose (but check the nutrition fact label–little to no sugar—and lactose, remember, is a sugar!). 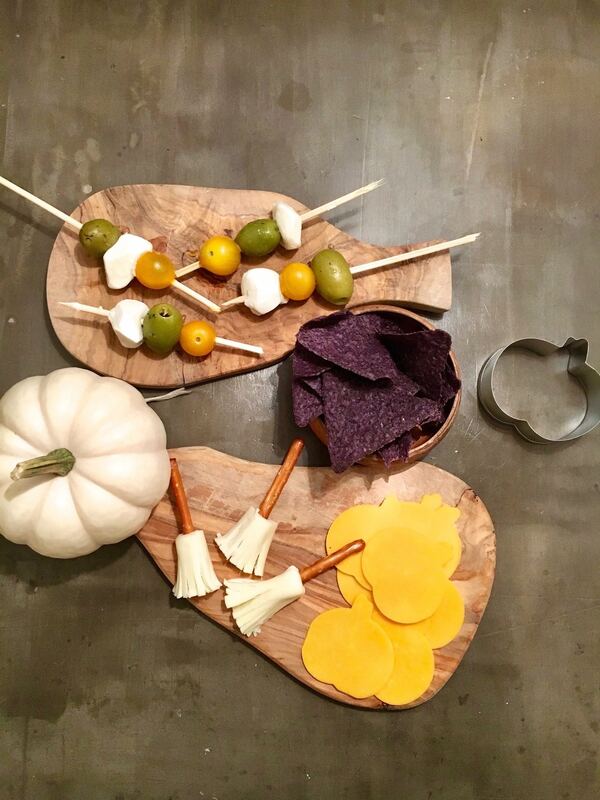 Everyone deserves a fun Halloween that includes a few treats. So…Eat, Drink and Be Scary! Fall flavors for the FODMAPer: Give-a-way! I love how your posts always relate to upcoming holidays and things I tend to be thinking about anyway. I also really appreciate the creativity and how you always seem to come from the mindset of “FODMAPers have so many options!” I know that viewing my diet in this way has helped me tremendously. These treats have worked for me! Thanks for the suggestions. Sadly, I’ve already discovered that Reese’s Peanut Butter Cups don’t seem to bother my gut. Lol. I’m seeing posts for low FODMAP recipes that include tigernut flour. Are you familiar with it? Is it a good choice for low FODMAP? Ha! Not sure tigernut flour has been tested. It appears to be more high in starch. I will try to see if its inline to be tested. 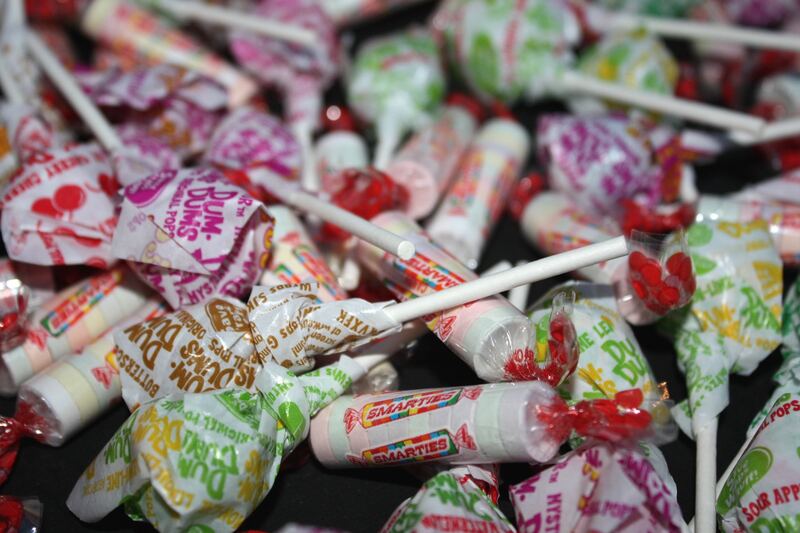 This post is great — and the candy list is helpful. Some of our favorites are on that list (and some we hadn’t thought to try)! Thanks so much for sharing!! Hi, I’m wondering if you could do a post on blanched vs skin on almonds. In the app almonds and almond meal have very different servings, and different FODMAPs, but I can’t figure out if this is due to the skin/blanching or if it’s an error. Please be aware that number 5 on the list, Justin’s dark chocolate peanut butter cups, and not FODMAPer friendly–they contain chocolate liquor. Unfortunately, I found out the hard way with a bad reaction. HI Marilyn, chocolate liquor should not be an issue from FODMAP standpoint–especially in such small amounts. I would work with your dietitian to assess why you had a bad reaction. I had recently read an article about corn syrup and high fructose corn syrup and how the food industry has been getting away with labeling hfcs as corn syrup. Is there truth to this? In the earlier days of this diet I made rice krispy treats for my small sweet tooth. I still continue to have minor digestive issues despite cutting out even corn syrup. Might be some other item that is supposedly safe but is not safe for me (ex. cantaloupe) What do you think about the corn syrup v hfcs?